With a quick glance you have all your important personnel training information at your fingertips. 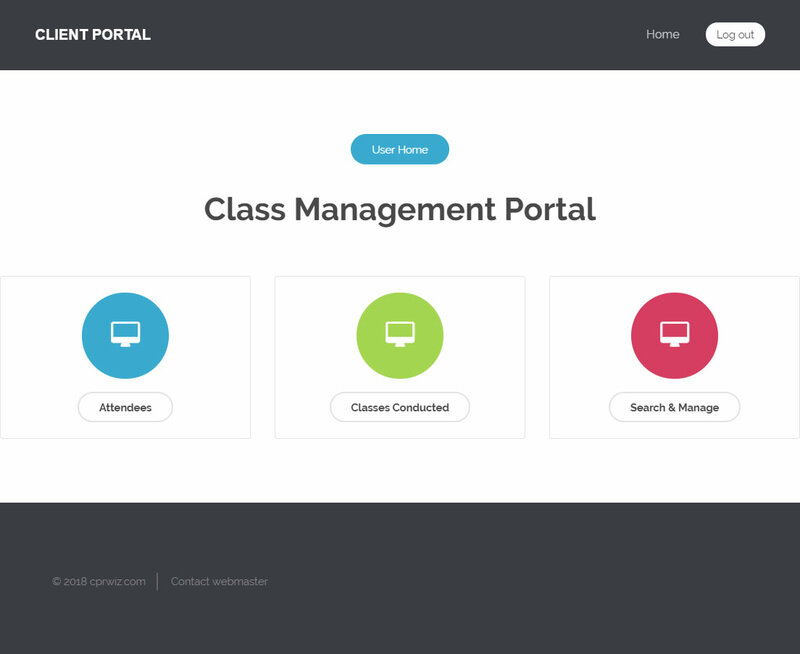 Our new custom, free-of-charge, Client Portal allows you manage your classes and attendees with ease. We designed our portal to allow you to quickly reference your last class, upcoming classes, and staff “recert” dates. You can search by name, date, or employee identifier whenever you wish as you can access your portal 24/7. Client portals are private for each client, can be customized to fit your needs, are password-protected and are secured with a SSL certification to ensure all your data stays secure. Please contact us today for more information or to apply for your free portal! Yes! We are current clients. Not yet, but we have a class scheduled! No. We haven't scheduled a class yet, but we need to.